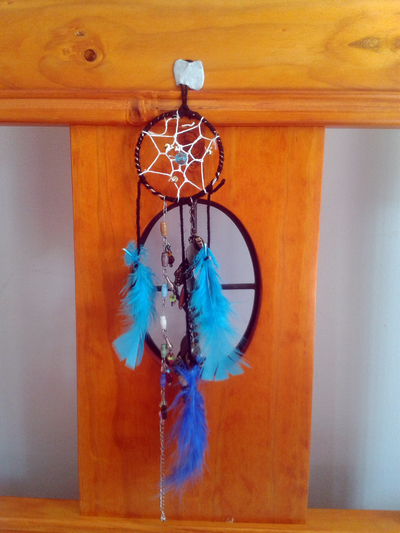 If you never heard of a dreamcatcher, ask your Twilight crazy teens and they will tell you exactly what it is. 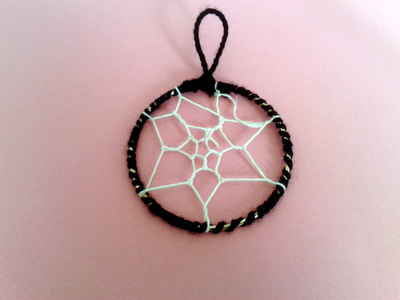 It's a Native American handmade object believed to ward off bad dreams and allow only good thoughts to enter the mind. 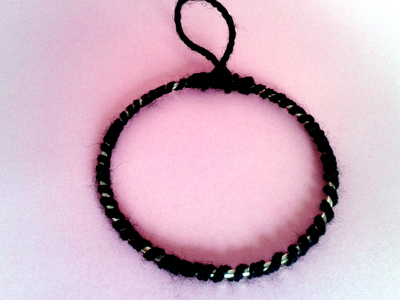 Given as a Birthday present, it will make your daughter or girlfriend feel like Bella from Twilight. 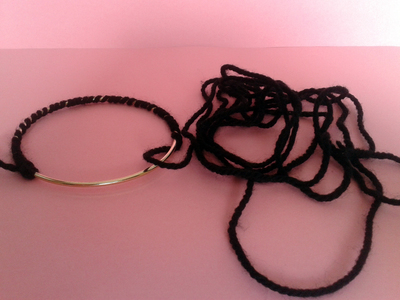 Wrap the wool around the bangle till it all covered with the wool. When you reach where you started from tie a knot. 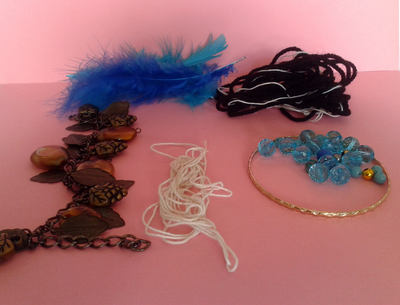 Hang beads feathers, charms or bracelets from the loop. 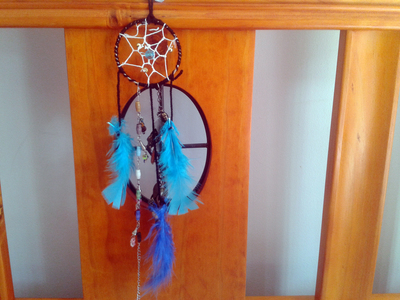 Hang it to your bed frame to ward off bad dreams.